I say it every year.... I love a New Year. You can get rid of any negatives from the previous year, build on any successes and best of all wipe the slate clean if you choose to! Of course, you can do this at any time of year, but for some reason for me I always find the beginning of the year very inspiring. While I didn't actually create this layout in January... I made it to commemorate my first trip to Leadership, which was in Phoenix, Arizona last year. This was a big milestone for me for a couple of reasons -- first it was my first flight alone ever! (Not necessarily something I want to do alone again... lol!). And it was my first trip to Leadership, which was amazing! I'm sad I won't be able to attend again this year. I am definitely aiming to attend convention though in July! I used the crayon resist technique here -- which is an oldie for me -- I learned it in my very beginning stages as a demonstrator and I still love it. I love the sentiment of this card as well and it is something I hope to accomplish more often in 2011! I loved this set of cards I created using a Sale-A-Bration set from 2010 (Sale-A-Bration 2011 starts Jan. 25 -- don't miss out on some great FREE stamps!). I made these cards for the 2010 Crop on the Cape event. It was my second year attending, but my first as a vendor and I had so much fun and met so many new friends! I'm so excited to be participating again this year -- it's not to late to sign up -- click here right now! This was a fun and simple card I made with the Awash with Flowers set for a workshop. I love the simplicity of it, but yet it still is impressive to a new (and experienced!) stamper -- LOVE that! I really like this card a lot... 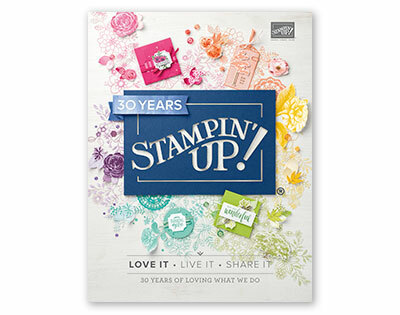 I made it for Stampin' Up's annual Artisan Award contest, but sadly didn't complete my submission so I never sent it. I am determined to submit projects for this year's contest open to demonstrators (in fact I've already been thinking of my projects)... afterall, who wouldn't love $500 in cash and $500 in new SU products! This card took me a while to put together -- but I liked it when I finished... and I liked this post because it showed a bit about my process. One of the biggest concerns I hear about rubber stamping is that people feel like they could never be creative enough... the thing is it doesn't always work for me either -- but it is still fun! Time flies when I'm messing around with a card until I get it "just right" -- and it really helps me forget the world when I need to -- perfect! Another fun, simple workshop card featuring my new toys from the 2010-2011 Idea Book and catalog... Artistic Etchings is still one of my favorite! 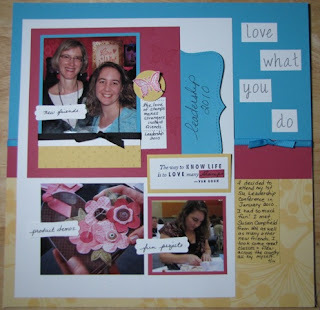 I made this scrapbook page to sell and I realized as I was compiling this list -- that I really didn't do too much scrapbooking in 2010, which is sad as it was the initial reason that I signed up as a demo... So that is definitely something I'm going to work on in 2011. The colors of this card just make me happy ... Rich Razzleberry, Basic Black and Very Vanilla -- plus a little bling of course! Last but not least -- my favorite holiday card of the year -- these adorable little snowmen. While it's not your typical Christmas card, I think it just makes a great contemporary design. Well, that's a recap of 2010 through my creative projects... Do you have a favorite project from 2010? 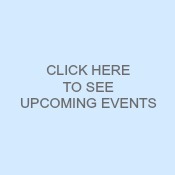 Feel free to share it with me (with a link!) in the comments! Happy Crafting to you in 2011!